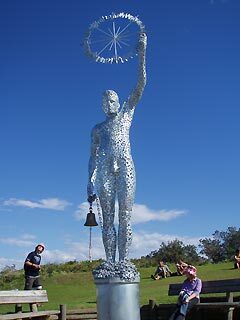 Arts & culture are always abound in Byron Bay. Whether it is a new art exhibition, a film festival a comedy show or a dance performance, you will be surprised there is always something happening in our town. 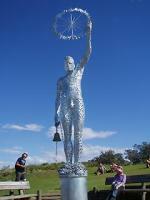 Dozens of cafes line the main steets of Byron and the relaxed atmosphere will put you in a holiday mood right away. There is plenty of nightlife if you need it and some of Australia’s finest restaurants are located in Byron Bay. If you feel like watching a live band at night you can’t go past the Railway Friendly Bar with free live gigs every night of the week. Some of the big names in Australian and international music LOVE to visit our town, so don’t be surprised if you are able to catch a big name band for a bargain price at the Great Northern Hotel or the Beach Hotel … or sometimes even free. Of course there is the East Coast Blues Fest, one of the most popular festivals in Australia. Over the Easter period Byron Bay transforms into a Blues loving, rocking and swinging town. If you want to be part of the Byron Blues make sure you book your tickets and your accommodation well in advance – if you get in early PLANULA offers Blues Fest & Accommodation packages. For a full list of festivals coming up in Byron Bay, make sure to check our up-to-date events and festivals calendar.